Notley appeared before a Senate committee considering Bill C-69, a controversial piece of legislation aimed at streamlining the new project approval process, but which critics say will in fact deter investment in Canada’s energy sector. 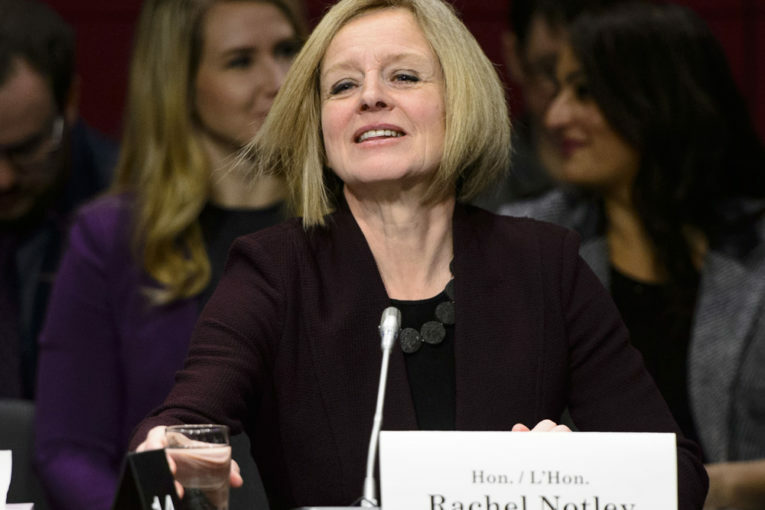 The premier said she wants most new Alberta energy projects exempted from the bill because of existing provincial review processes and her government’s climate change policies. She said it makes no sense for Ottawa to have spent $4.5 billion to buy the Trans Mountain pipeline while it is pushing legislation she says will prevent most future energy projects from being built. Notley says the bill needs major amendments including setting harder limits on the time it can take to do a review, and ensuring the reviews take into consideration the number of jobs a project will produce. The Senate is being heavily lobbied on this legislation, with the Canadian Association of Petroleum Producers saying more than 40,000 letters have been sent to individual senators asking them to amend the bill. Alberta is the country’s main crude-producing province but saw oil prices plummet at the end of last year because of congestion of export pipelines that prevented barrels from reaching U.S. markets.